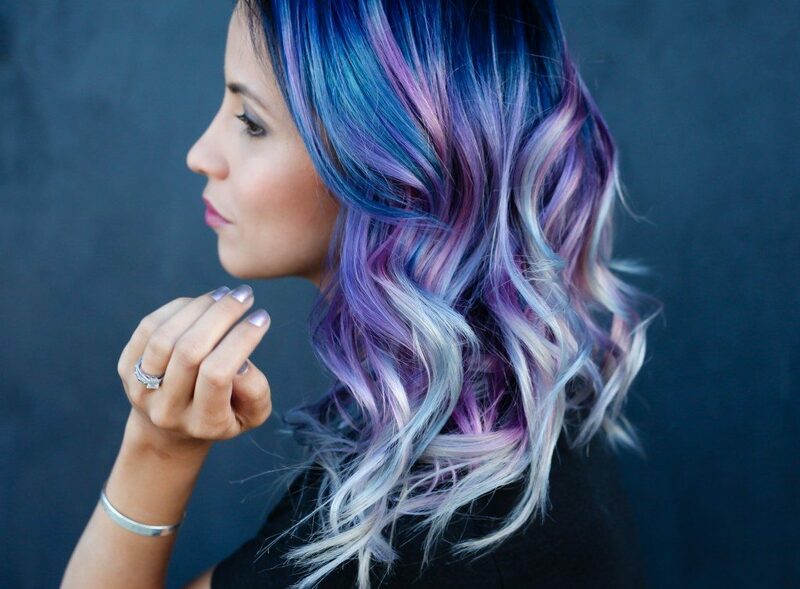 Trends come and go, but these gorgeous hair viral trends will live forever. It used to be that only people who were on the fringes of society sported unusual hairstyles. 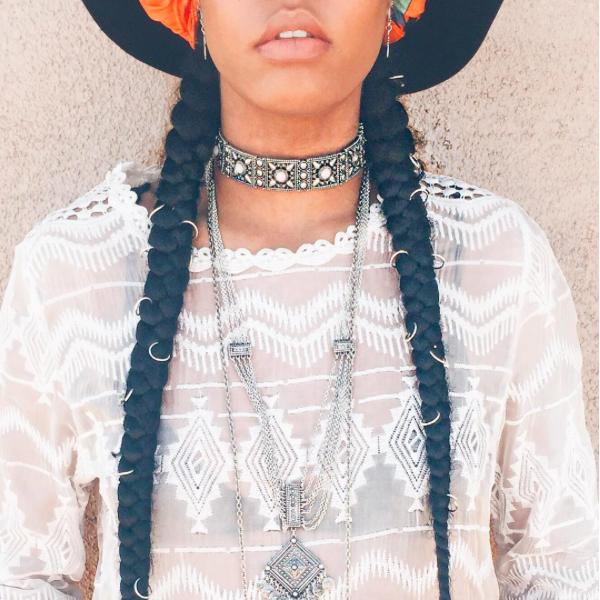 What was once considered “out there” and “weird” are now becoming popular ways for people to show their unique style. If you’re looking to go beyond a plain side part or limp ponytail, then check out these trendy and stylish hair trends that went viral… for a reason! 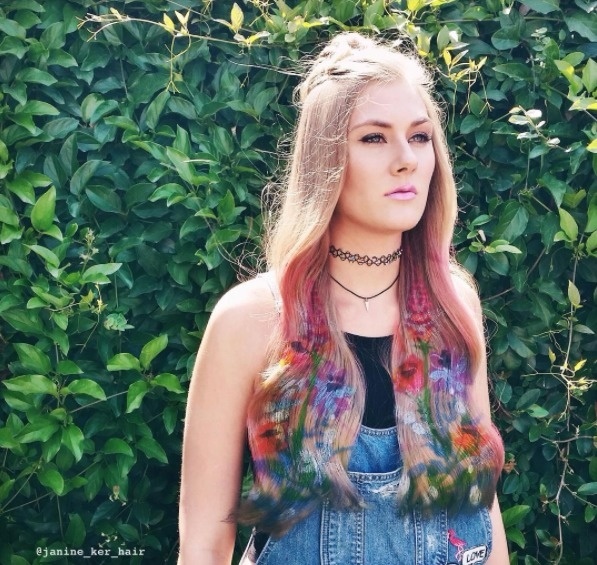 This hair trend deserves to be shown off at a music festival, for sure! Rainbow roots involve several colors and maaany, many hours in the stylist’s chair but you’ll be guaranteed to get a few adoring stares. 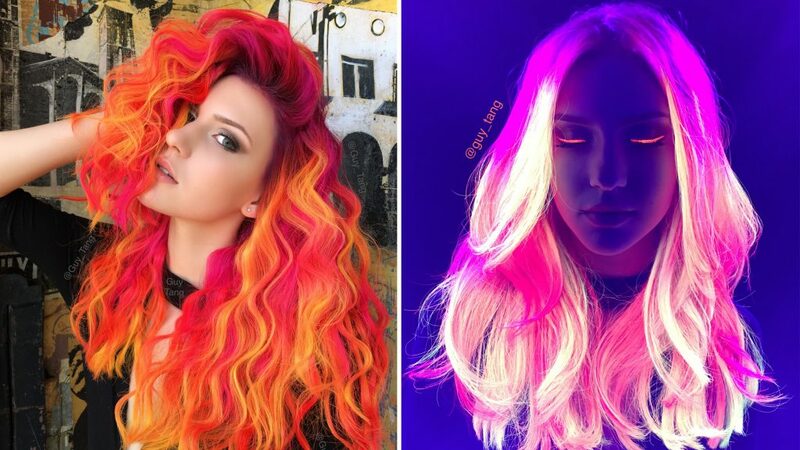 Here’s a unique way to transition from your day look to a bold nighttime look: glow-in-the-dark hair. 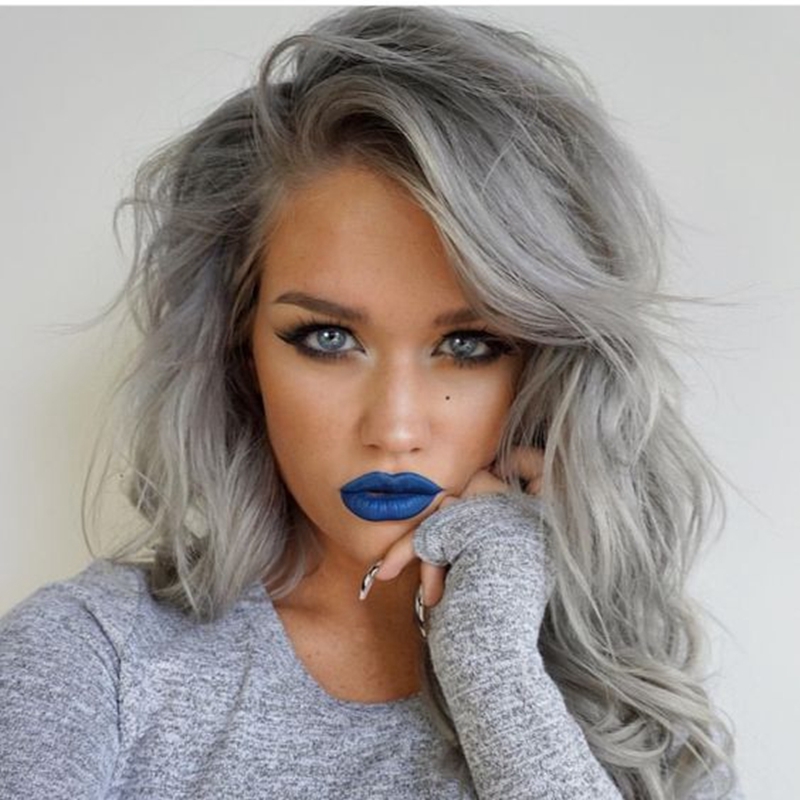 This style looks cool whether it’s just one color or several colors. Turn yourself into a work of art with this hot trend of spray painting stenciled designs onto hair. This creative look allows you to express yourself artistically, and will make you the center of attention, even if you weren’t planning on it! 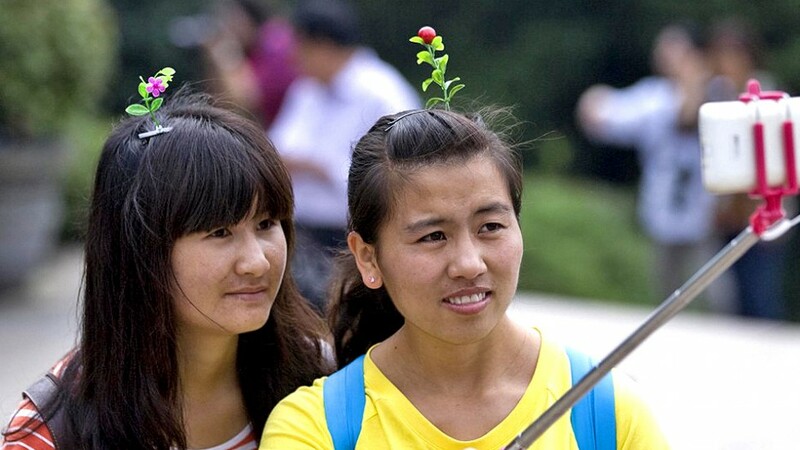 Do you know what happens when you wear fake flowers, trees, leaves, cherries, and mushrooms in your hair? You become viral! This eye-catching style started in China and we’re crossing our fingers these plastic hairpins come to North America. Now that would spice things up! You don’t have to have a lot of hair to be fun and stylish. 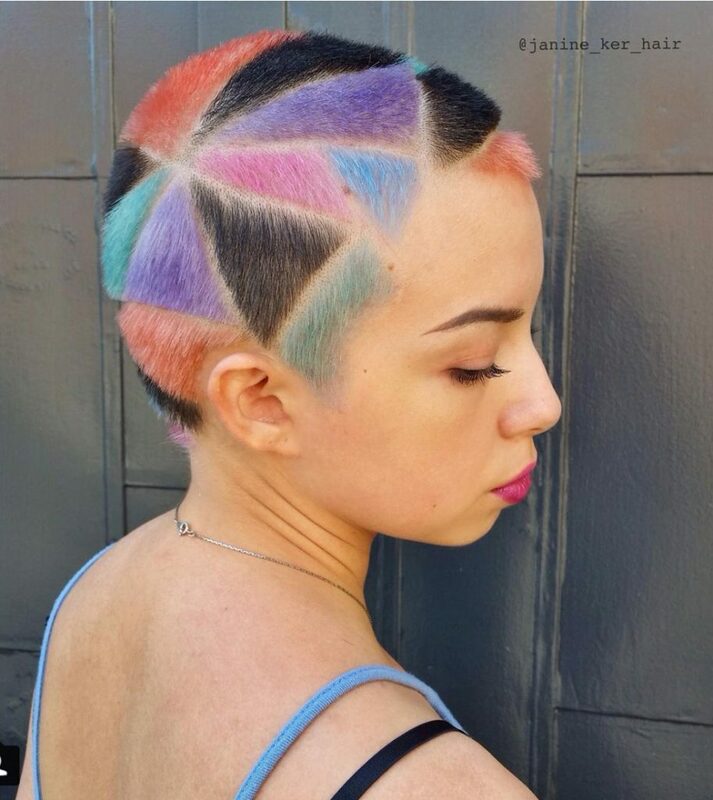 Check out this funky short ’do with colorful geometric shapes. Now it’s up to you to work it and take it to the next level! What used to be popular among skaters in the 90s is now the rage with both men and women. 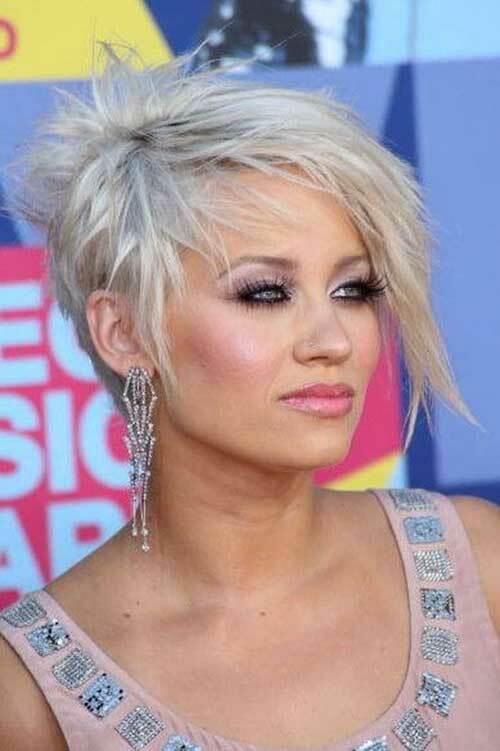 It’s almost impossible to walk down the street and not see someone sporting an asymmetrical haircut. There’s a reason why: it frames your features and makes you look razor-sharp edgy. Yeah, you read that right! 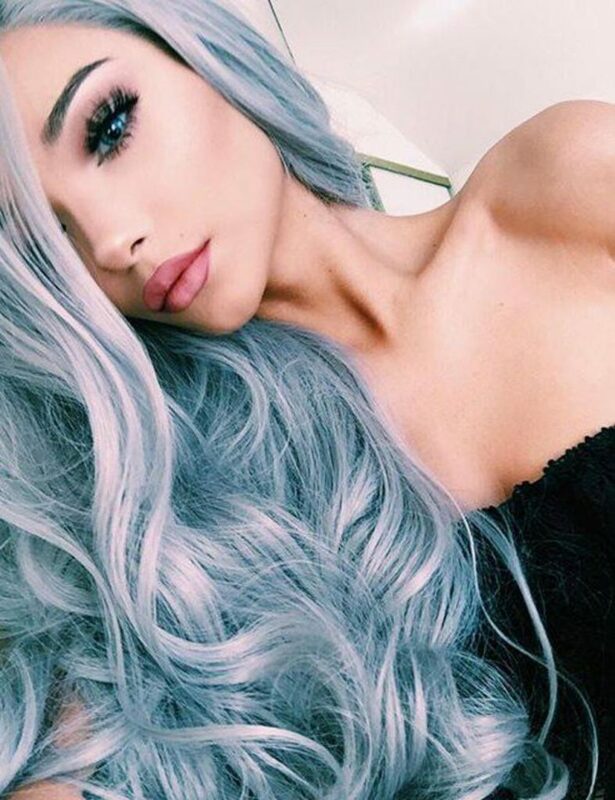 One of the biggest viral hair trends at the moment is rocking gray hair… on purpose. While it does look flawless as hell, it does take a lot of bleaching and toning in order to get it. Everyone’s going crazy for this sparkly look, and can you blame them? It’s like the fairy gods decided to kiss your hair roots and take your whole look to the next bright-and-glittery level. 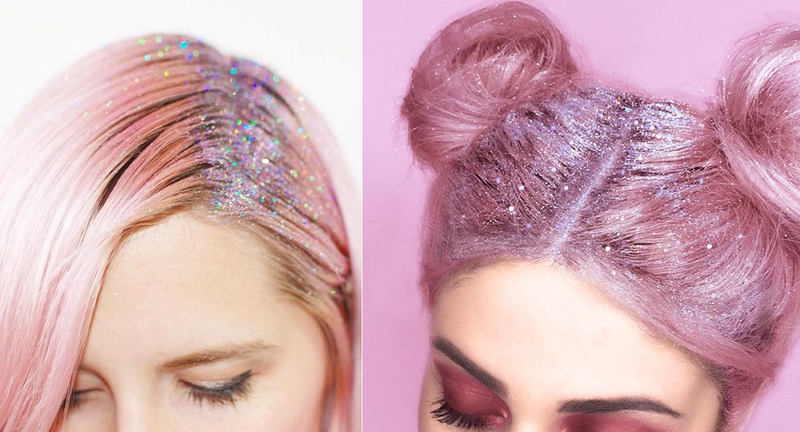 Sprinkling glitter on your roots also covers up your natural hair color when the roots come in. But can you imagine getting the glitter out? Ouch. 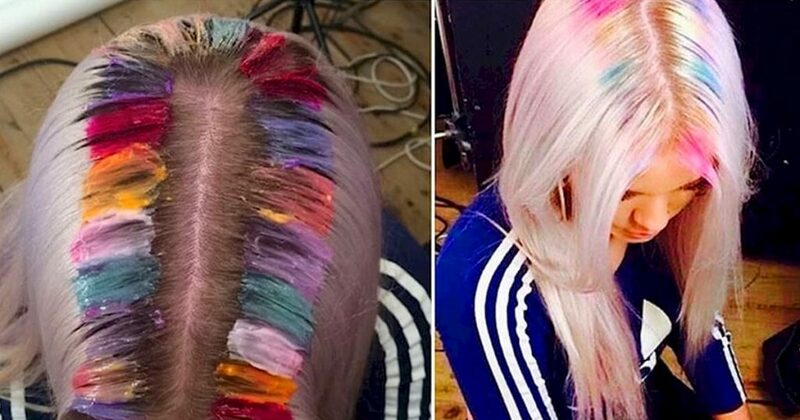 This may be the viral hair trend that will never die, and for good reason. Meant to evoke the inner mermaid in you, this style is simply gorgeous and feminine. 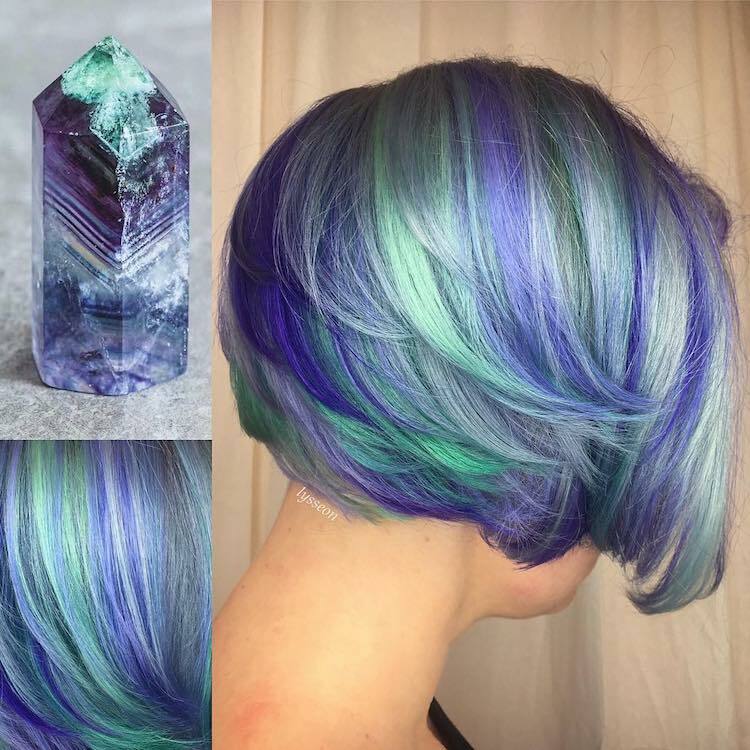 The natural beauty of crystals have inspired women to rush to the salon to recreate the bright and iridescent look called “The Geode hair trend.” What are you waiting for? Just when you thought it’d never come back, the mullet reappears. However, this time it’s softer and less harsh in cut. Today’s version is more natural looking and designed to suit any face shape. Btw, any bets on the rat tail coming back? Maybe you can’t be a special snowflake, but you can definitely be a unicorn. Take a look at this fantastical style that brings to mind spring, magic, and uniqueness. 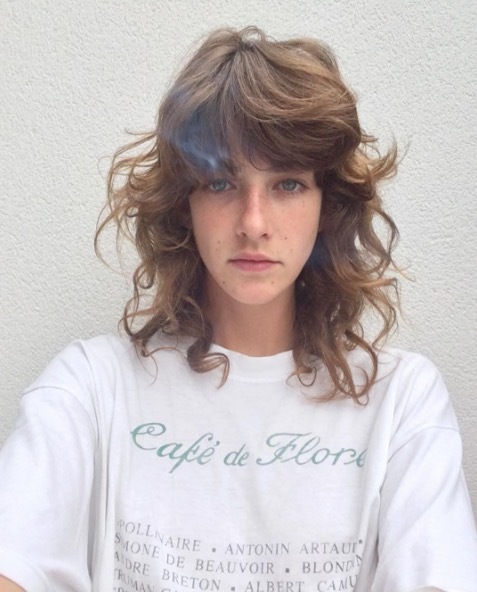 Undercuts aren’t old school anymore. They’ve made a big comeback and now they’re embellished with glitter, shapes, and color. All you need is an old-school hip hop track and you are DONE! Adding metallic hoops to braids takes an everyday look into serious rocker chic mode. Women are lovin’ the bling-heavy, edgy look, but anyone’s welcome to use it… as long as they have long gorgeous hair. 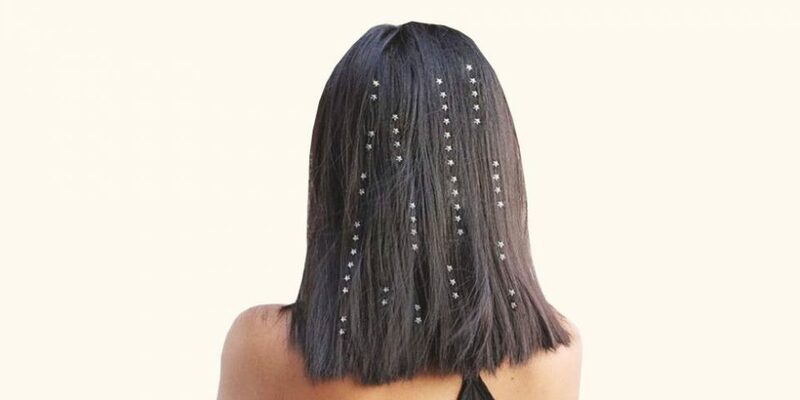 Sprinkling stars and gems throughout your hair is not just for tweens. It actually looks very dreamy and playful on anyone! All you need are inexpensive sticky gems, and voila, you’re Instagram-ready.